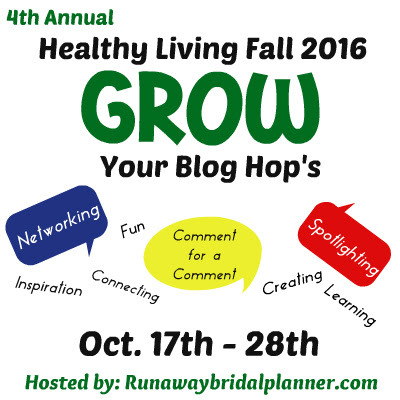 While I write as part of the Healthy Living Fall 2016 Grow Your Blog Hop...I should probably write about what it means to be healthy. I get a bit caught up in emotional and mental health, and I should spend some time talking about the other pieces that need to fall into place in order for me to feel well-rounded and healthy. When I was in the fourth grade, I kept getting sick. Nothing too bad, but every couple of weeks I had what present as strep throat. Eight or ten strep tests later, my doctor thought maybe something else was going on with my body. Throw in one leukemia test, several tests for lupus, and a whole host of other needle pricks, and ITP finally came out of the fog of test results. Feel free to follow the link to find out more, but essentially, ITP means that my spleen doesn't recognize my platelets as part of my body. Or as my hematologist told me, "Your spleen thinks that your platelets are little chocolate covered cherries and eats them all up" (like I said, I was nine...). With a diagnosis of an autoimmune disorder, my mom went into full-on organization mode. We set up meetings with specialists, went in for weekly blood tests to monitor my progress, and I started fighting. By fighting, I mean that I moaned and groaned. I begged to go to school when I felt a fever coming on. I ignored bruises and fatigue. I pretended to be perfectly healthy. Not much as changed in the couple of decades since my diagnosis. I refused to go for weekly blood tests a couple of years into high school - seven years of weekly tests felt like plenty, thank you very much. I refused to be treated with prednisone to artificially increase my platelet count. I knew (and still know) my body's signs. I can tell when I'm having an "ITP issue." I eat more red meat, stuff some spinach in my face, and maybe take a few naps. Is that how everyone should handle this type of condition? Probably not. For me, mind over matter works. At various points in my life, doctors have suggested removing my spleen. It will get rid of ITP. Maybe. We aren't sure. But you will need to be on antibiotics your whole life because your spleen won't be there to clean things out for you. So, what if I start rejecting antibiotics? Even in high school, I argued back, What about when I have kids? I can't be wandering around without a spleen, catching EVERYTHING. One doctor offered to treat me with something that would inevitably send my body into leukemia. What about that sounds good? My platelets are steady. Unless I'm sick, they stay in the same range. I monitor my health by keeping in touch with my body. I know when something is off. I need time to rest when I'm ill. My *ahem* sports injuries take longer to heal than for some others. I need to put a lot of energy into preventing illness and injury, because either one can sideline me (or cause me to invest in way more red meat and spinach than I really want to consume). 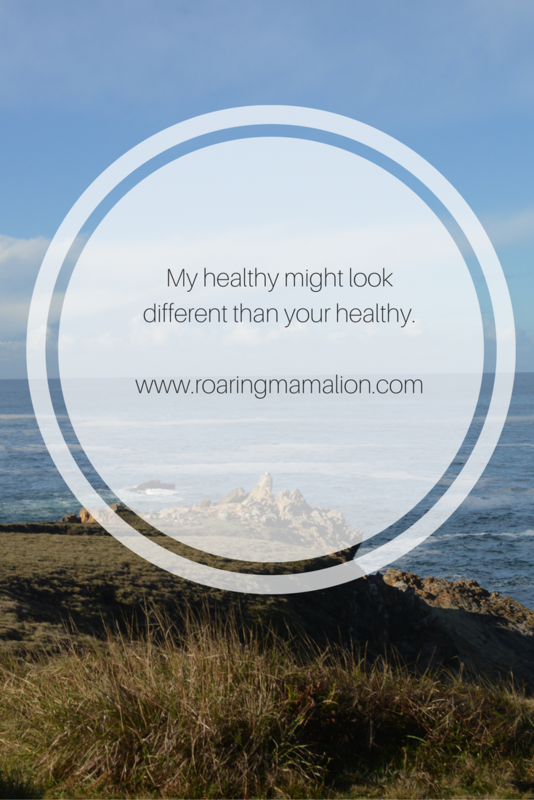 My definition of healthy has also changed since having my second child. I haven't run a race in...a long time. I don't feel that pull. Instead, I want to keep my body healthy and strong to show my children what healthy means. With all aspects of my health, I need to focus on getting all the pieces in place - balancing it all will make me stronger and healthier. "If it's not hell yes, it's hell no,"and I need to remember that with every commitment I make. I have felt overwhelmed and crazy. Between major tech and curriculum changes at work, my mom's health, my kids' increasingly complex lives, the harvest season, and...stuff, I've felt pretty darn lost. The fog has started to lift though. I feel more back in my own body. When I attend to my emotional and mental health, the physical part is easy. When I'm not drowning in rush of it all, I can willingly sink into the rhythm. And, thank the sweet Lord, just as the emotional and mental fog begins to lift, it's FALL. 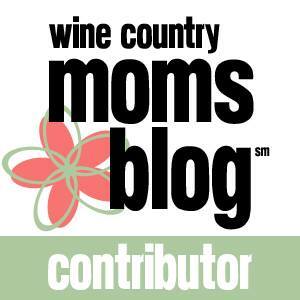 That means hikes, oh glorious hikes, along the Sonoma Coast! I had both kids without an epidural also so I know what that's like ��. And it sounds like you know your body well, and what you need to do to keep it strong and healthy. Thank you! I feel like knowing ourselves is the first step to being truly healthy! 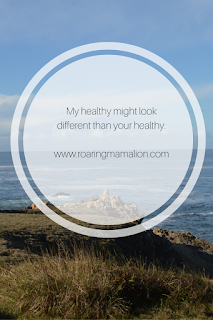 Healthy looks different on everyone! Hats off to making sure you take care of yourself and stay true to your body. Enjoy those fall hikes, I know I am!